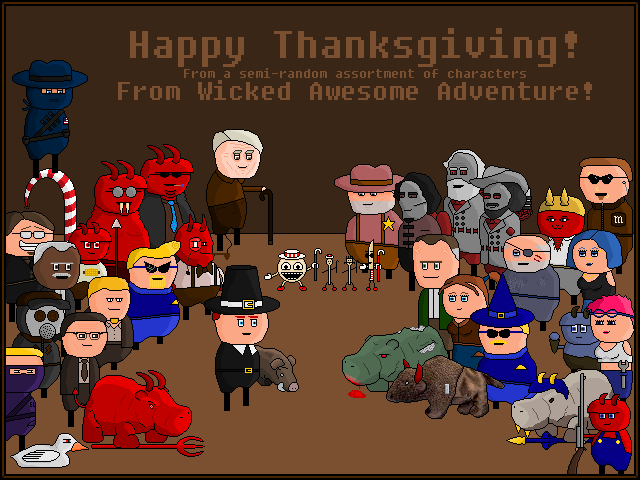 Wicked Awesome Adventure: 227 - Thanksgiving 2010! Wow. Old acquaintances and new friends(?) to meet. This is going to be some fantastic world to explore.